Pick-up at Avignon TGV train station at 11 am. Arrive in Chateauneuf-du-Pape at 11:30 for our first winery visit with a local wine expert in a 15th-century village wine cellar. Lunch together at a village restaurant with a view of the Rhone Valley. You will also enjoy climbing to the top where the remains of the Pope’s Chateau give a marvelous view of the Rhone River valley. After lunch, around 3 pm, we will drive to our charming B&B near Vaison-la-Romain. 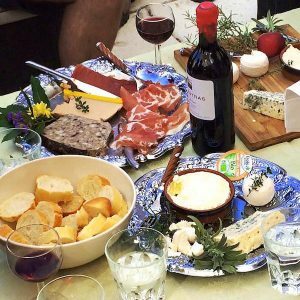 After some time to settle in, we’ll go into the town center of Vaison-la-Romaine for a walk through the historical medieval village and then dinner together at a cozy wine bar. A special treat for the first full day of the Provence Wine Tour! 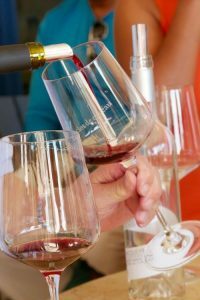 A domain in Vacqueyras, Le Clos de Caveau, will guide us on a vineyard walk to understand the terroir and then to their wine cellar to taste how the different terroirs produce different wines. A traditional French lunch will be prepared for us at the vineyard. After the vineyard lunch, you have the option to return to the B&B where you can relax or you can opt to be taken to the center of Vaison-la-Romaine to explore the Romain monuments. Today’s exploring will start in the picturesque village of Seguret (classed as one of France’s most beautiful villages). Our first winery tour of the day is just behind the village. 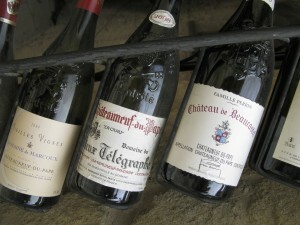 Mourchon Winery (Seguret cru wine) will host us for a tour of the chai and vineyards. This will also be our spot for a vineyard picnic lunch. In the afternoon we’ll step inside a Bio-Dynamic Wine grower domain, Montirius (the 1st certified bio-dynamic for Gigondas & Vacqueyras). 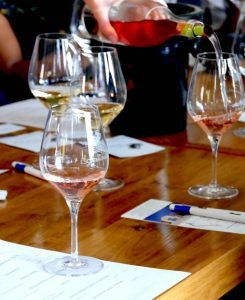 We will have the incredible opportunity to learn about wine with a hands-on workshop by the wine growers themselves. Dinner this evening in Vaison-la-Romaine. Start your day at the morning market in Vaison-la-Romaine. After your market stroll (at your leisure), we’ll drive 45 minutes south to Venasque; one of France’s most beautiful villages. Here we will have lunch together in the village and take a historical stroll through the cobblestone streets. Next stop will be Gordes (also classed as “most beautiful village”) where you can do some boutique shopping and also follow your guide for a historical walk. From Gordes, we have just a 20-minute drive to our Boutique hotel in the heart of L’Isle sur la Sorgue. After some time to settle in and rest, we’ll meet up for a stroll along the canal-lined streets and then dinner together by the water. Today we explore the South Luberon region. We’ll begin our day with a Grape Stomp and then a picnic-style lunch at the stomping grounds. In the afternoon you will have free time in the beautiful village of Lourmarin. 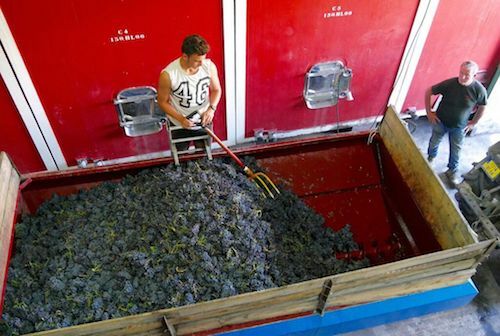 Our afternoon winery visit will be at Chateau La Verrerie with Vincent who will guide us through a tasting of their Luberon appellation wines. Dinner will be at your leisure this evening in L’Isle sur la Sorgue. 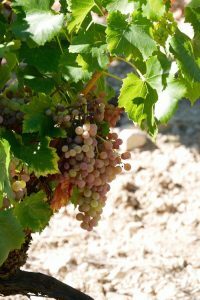 Our last day on the Provence Wine Tour will be devoted to the magical atmosphere of the Luberon around Roussillon and Menerbes (two hilltop villages rated as “most beautiful” in France). Enjoy a morning walk on an ochre trail, a wine cork museum visit and wine tasting at a domain near Menerbes. Dinner will be shared together in L’Isle sur la Sorgue. 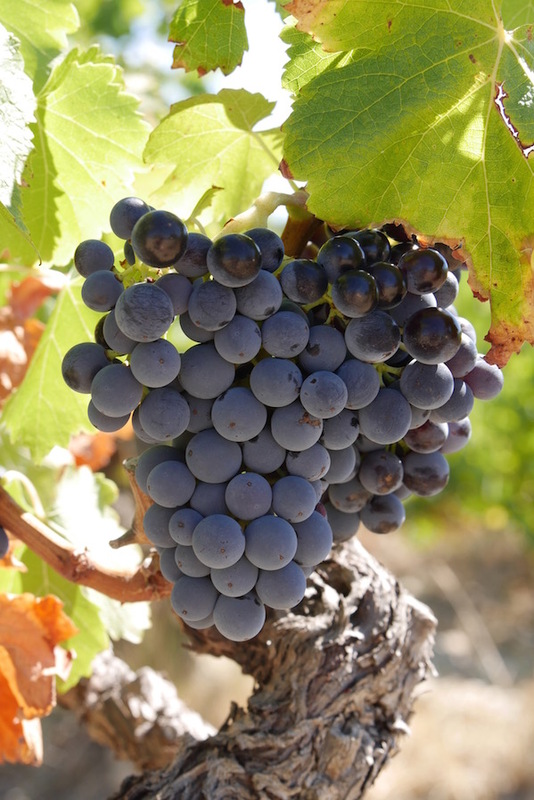 A variety of wineries on the Provence Wine Tour giving you a well-rounded wine experience. The goal is for you to connect to the land, the people, and their story. Lots of fun, smiles, laughter in the land of Eden! 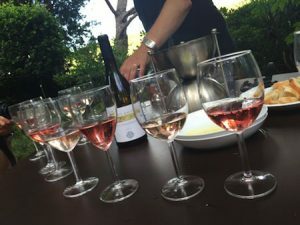 $250 non-refundable deposit to reserve your spot today on this very unique, VIP and behind the scenes Provence Wine Tour. Contact Emily today for more information. Hello, dear Emily! This tour looks fabulous! I would love to do this one, but we may need to wait, as we’ve had some extra family expenses so far this year. So look forward to seeing you. How are you doing with ‘everything ‘ at the orchard. Has the pace eased up at all? Hi Cheryl, Yes, biking is an option on this tour. I emailed you for more information on either a private tour or a group tour.